I can hardly believe that I started this quest almost a whole year ago. Time definitely flies when you're having fun. This is roundup numero cinco! You have linked up so many fantastic variations of Tortilla Soup over the last 11 months...and these are no exception. I have been compiling a list of my favorite components to come up with my "ULTIMATE" version. I hope to make a couple more versions in this last month...and to have as many more as possible linked up from YOU. Yes, you! 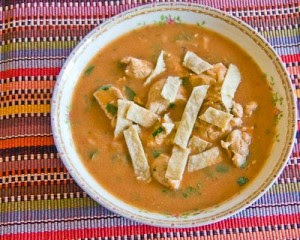 Please join me in drooling over these bowls of Tortilla Soup...and hopefully adding more version to this caldo gigante! 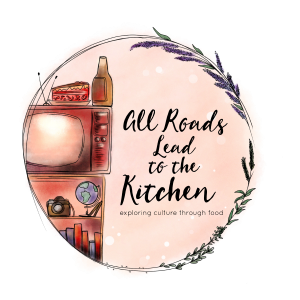 Miranda from Mangoes and Chutney made a delicious Chicken Tortilla Soup that has "so much going on in this soup, it is fantastic. 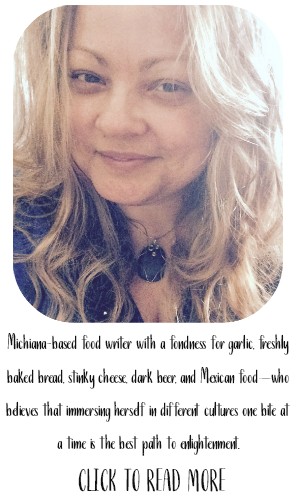 The white hominy gives it a flavor and texture I have never tasted before." Okay. I'm a believer! 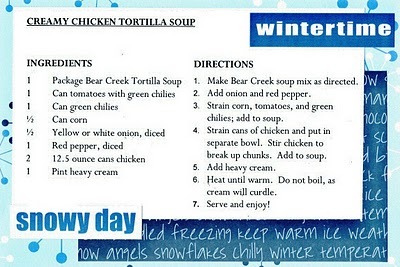 Kate from Kate's Konfessions brought a Creamy Chicken Tortilla Soup sure to warm us up in the winter...or anytime for that matter! 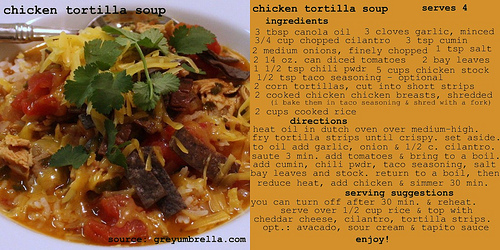 Next up is Christi from Grey Umbrella with a Chicken Tortilla Soup she calls "the easiest chicken tortilla soup! 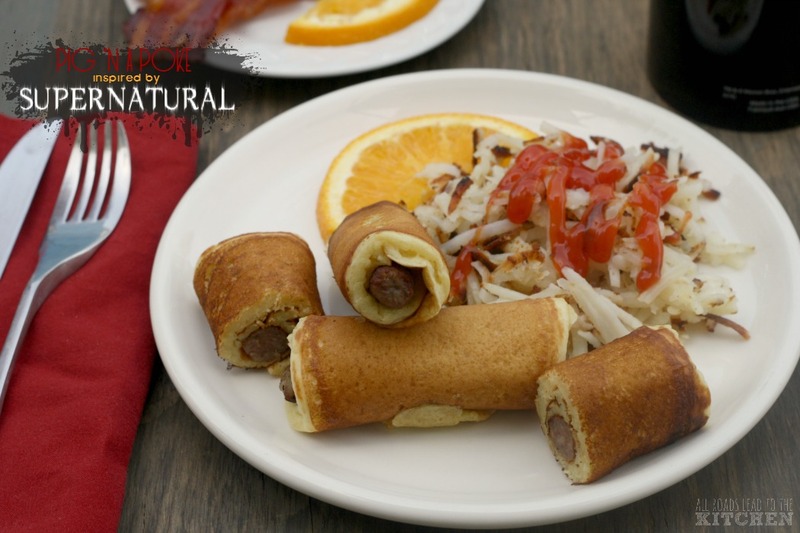 (It's) delicious and filling, plus it freezes well." Yum. 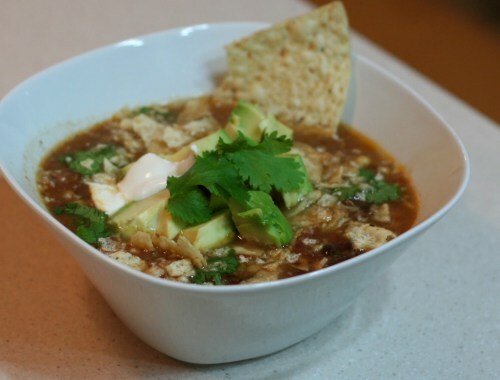 And just when you were beginning to wonder how many versions of Chicken Tortilla Soup are actually out there, Judy from Savoring Today brings another version to the table! She likens it to having a burrito in a bowl and shares some great tips on how to make the best version possible. 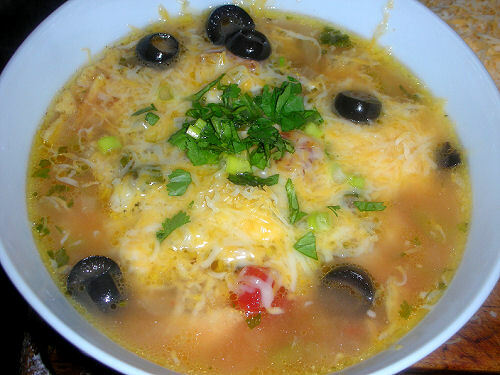 Over at Uncanny Goodness, Milda put time and thought into her Roasted Chicken Tortilla Soup. 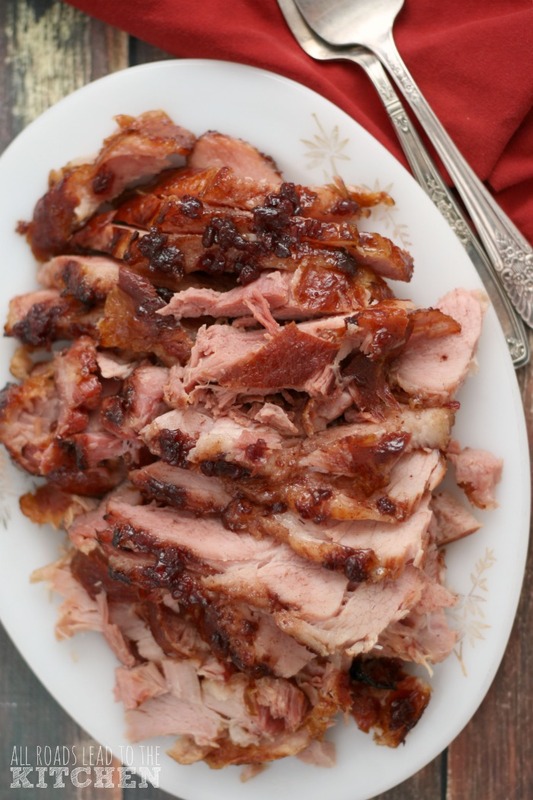 From the roasting of the chicken to the layering of the flavors, she brings us a fabulous SUPERbowl! 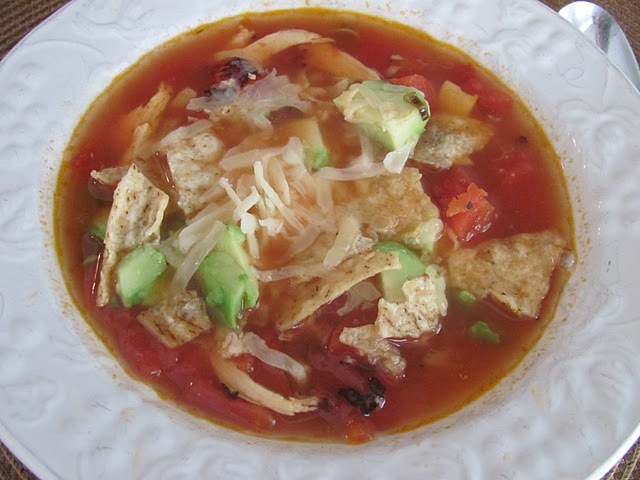 Next up is this gorgeous Low Calorie Chicken Tortilla Soup brought to us by Candy of Eating Well on the Road, who developed this version because she loves a good hearty Tortilla Soup, but not the calories and sodium that sometimes accompany it. 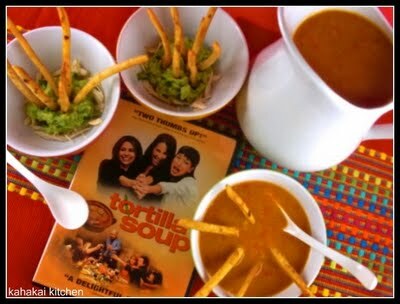 Inspired by the film Tortilla Soup, my friend Deb from Kahakai Kitchen decided to go nuevo and bring some beautiful "arty" bowls of Tortilla Soup. Not only was it tempting to the eyes, but also satisfying and delicious in the belly. I'm loving the guacamole in the bowl. So fun! Trying my first version that was actually sort of sweet and laced with cinnamon here at girlichef, I loved the deep red satisfying broth in this Ancho Chicken Tortilla Soup. 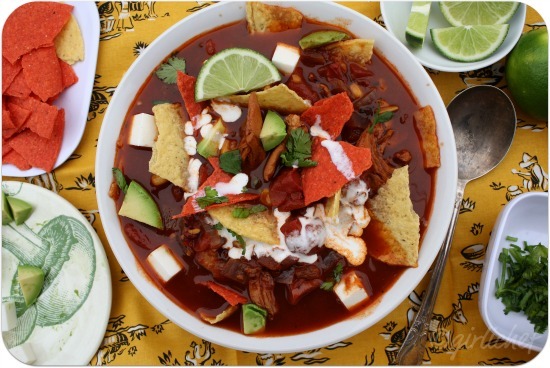 I hope you'll join me in the last month of my quest to find the ULTIMATE TORTILLA SOUP! 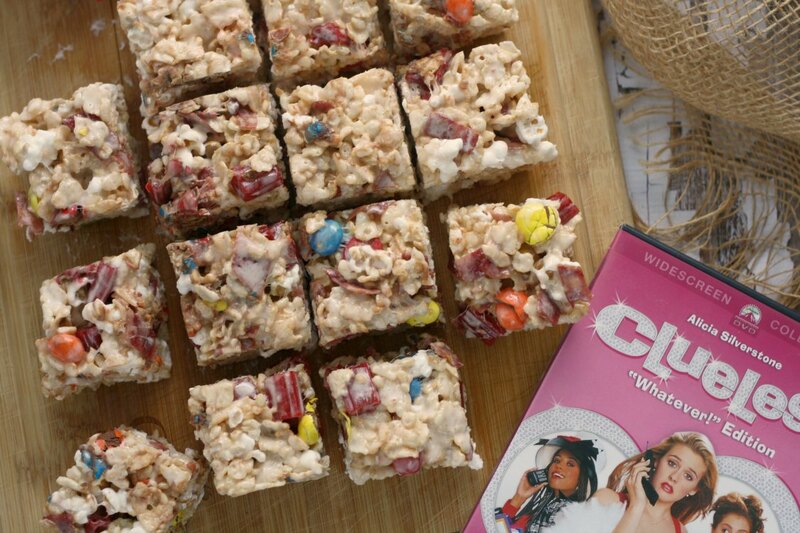 All of these look supremely awesome! I can't wait to see your ultimate version, Heather...it's going to be unbelievable...I can tell. 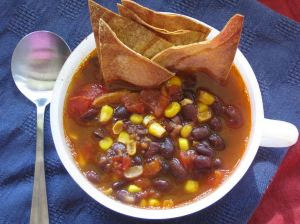 I love tortilla soup, these all look amazing! I added a Creamy Chicken Tortilla to your challenge post! I'm looking forward to trying some of them! 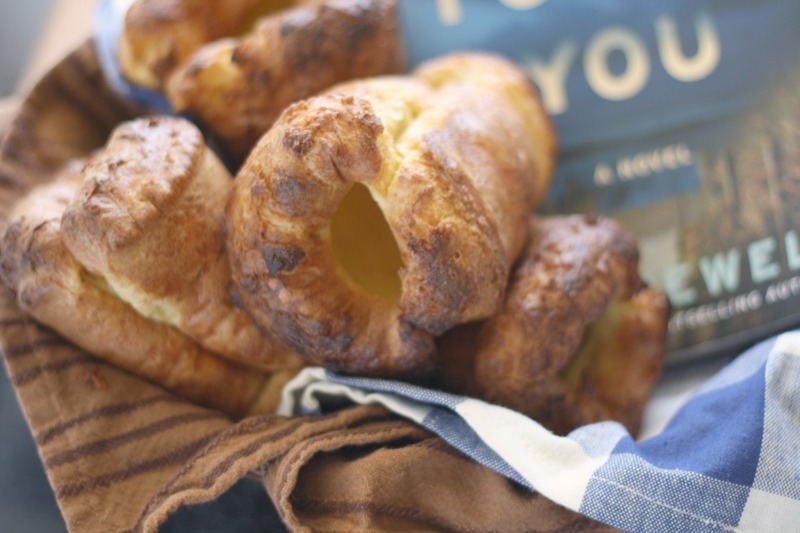 I remain sadly unimaginative - I had no idea there were so many marvelous recipes. I am wondering if you will have a favorite - or a few. Although I must say they all are special. This soup is amazing!!! So colorful and flavorful. Amo estas recetas sus ingredientes y su buena elaboración,me encanta,hay platos Chilenos con los mismos ingredientes y el toque que le das tu es estupendo,en fin la tortilla sopa es una delicia,me quedo en tu cocina,me has maravillado,cariños y abrazos.